After the bombardment of Fort Sumter in April 1861, the Union and the Confederacy began to prepare for war. On July 21, two inexperienced armies clashed approximately 35 miles southwest of Washington, fighting for control of two strategically important rail lines that met at Manassas Junction, Virginia. While civilian spectators watched from afar, the battle raged for 10 hours, culminating on Henry Hill with a Confederate victory. By day's end, nearly 5,000 men lay dead or wounded, and the hope for a short and bloodless war disappeared with the setting sun. Thirteen months later, Union and Confederate forces again converged on the fields of Manassas, with portions of this second battle fought on the same ground as the first. The contending armies, now made up of seasoned veterans, knew well the realities of war. The Second Battle of Manassas lasted for three days (August 28-30, 1862); produced nearly five times as many casualties; and brought the Confederacy to the height of its power, leaving it poised to launch its first invasion of the North. Today, the battlefield landscapes retain much of their wartime character, having undergone little change since the events of July 1861 and August 1862. Henry Hill — tranquil today, though bloody fighting raged there in both battles — is still cleared fields with sparse timber. The unfinished railroad, the scene of savage combat during the second battle, still runs through woods. The Stone House, a refuge for the battles' wounded and a Union field hospital, still stands where it was built, as a landmark overlooking the intersection of the Warrenton Turnpike and Sudley Road. 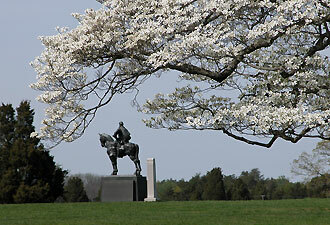 Manassas National Battlefield Park offers a wide array of activities, scenic vistas, historic sites, and walking trails to interest the casual visitor or the true Civil War historian. A good place to begin your visit is the Henry Hill Visitor Center, where you can view the orientation film, pick up information, and check the daily schedule of ranger-led programs. Delve into the First Battle of Manassas with a one-mile self-guiding loop trail that tells the story of the climactic fighting on Henry Hill. The larger battlefield of Second Manassas is best investigated with an 18-mile driving tour, which covers 12 locations that figured prominently in the battle. An audio CD is available for a narrated tour. Throughout the year, national park rangers present a variety of talks, tours, living history demonstrations, and special events. Check the online schedule for a full list of upcoming programs. The National Park Service invites you to commemorate the 150th anniversary of the First Battle of Manassas by participating in programs on July 21-24. 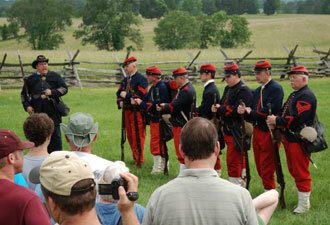 The commemoration weekend schedule includes special ranger tours of the battlefield, living history and historic weapons demonstrations, exhibits, lectures, and music. Always, however, Manassas National Battlefield Park offers visitors a gripping experience with opportunities to explore the historic battlefield, learn about the two tragic conflicts here, and reflect upon the crucial Civil War period and its meaning for Americans today. 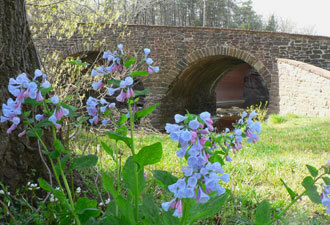 For more information, visit us at www.nps.gov/mana or on Facebook.